Modern Buddy : Chicago Scooter Company - Go. Chicago Scooter Company - Go. Posted: Tue Jun 07, 2016 6:42 pm Post subject: Chicago Scooter Company - Go. I am a long time owner of several Buddy's, both 50cc and 125cc. 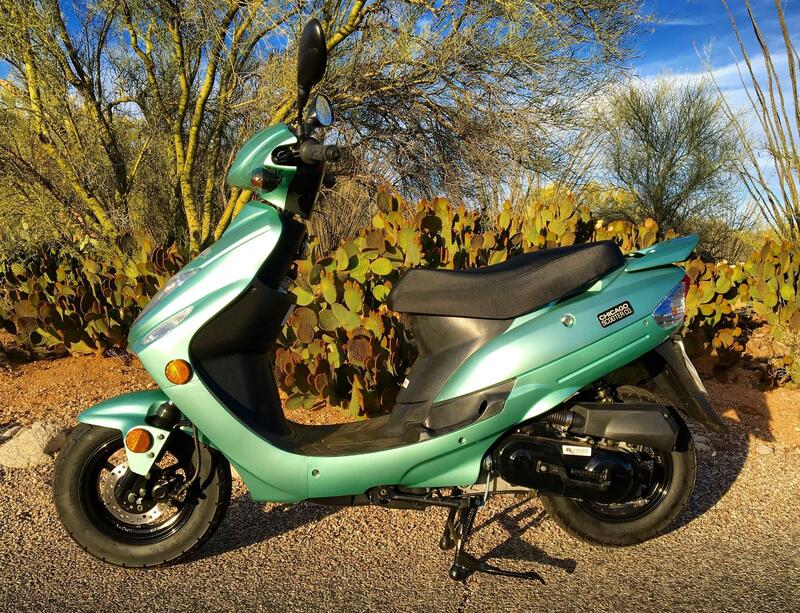 Last month I moved to Tucson and was short of cash when I found out about Genuine Scooter Company backing the import of the Go scooter under Chicago Scooter Company. I have to say, for $1200 out the door it is a great deal. After the break in (520 miles) I am getting 110MPG and hit 40 easy on the flats (GPS) and if the weather is cool I can hit 45. Here is a pic of her in the desert. Glad to be back here! Nice color! Got any front, rear, side shots? Where to buy? 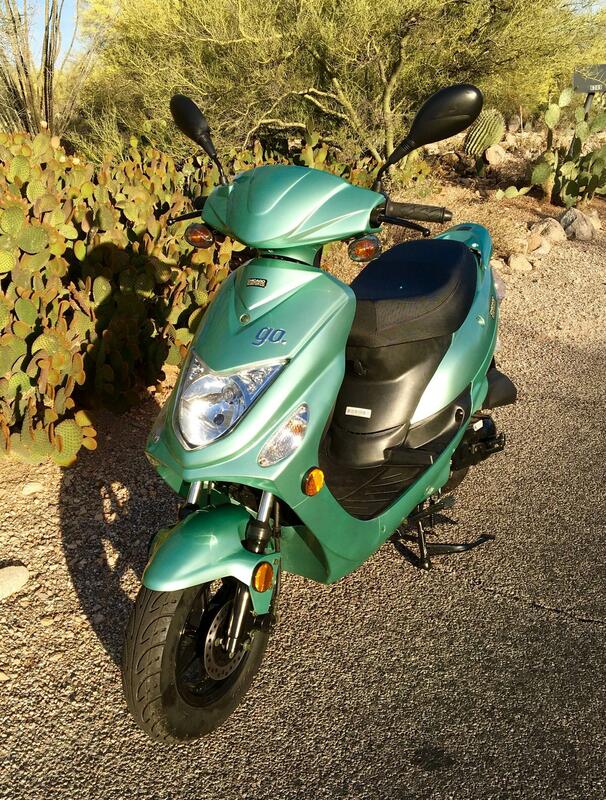 I got it at a Genuine Buddy dealer here in Tucson called Scoot Over.